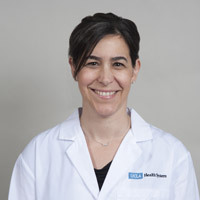 UCLA Urology is delighted to announce that Dr. Jennifer Singer, Associate Clinical Professor of Urology, has been appointed as the inaugural holder of the newly endowed Peter Starrett Term Chair in Medical Education. This position was created through the generosity and visionary leadership of Peter and Cam Starrett, who are wonderful friends of the UCLA Urology Department’s missions in research and education. The chair was also made possible through support from the Dean’s Office, courtesy of Dr. Clarence Braddock, Vice Dean for Education. Dr. Singer is a physician within our Pediatric Urology program, with a special interest and training in congenital urologic anomalies. Her other clinical interests include pediatric renal transplantation and urinary tract dysfunction in pediatric patients with end-stage renal disease. An endowed chair is the highest achievement to which an academic can aspire in the University of California. This new chair underscores the commitment of the UCLA Department of Urology and the UCLA David Geffen School of Medicine to a critical aspect of our mission – training world leaders in health and science. Dr. Singer is deeply engaged in and committed to the teaching of our students, residents, and fellows and UCLA Urology is honored that Dr. Singer has been appointed this endowed chair.